Costume includes a full length gown with zipper in back, white lace collar and cuffs, black and white satin bodice with red heart accent and black peplum, a red velvet skirt with printed heart details on a white satin inset, all with gold trim. Black velvet choker with faux jewel, sequin heart tiara with jewel accents, hoop and tulle petticoat also included. Dress up like an exquisite creation from Disney classics and walk like a royal queen All characters from Lewis Carroll's children classic Alice in wonderland are funny, whimsical and enchanting. 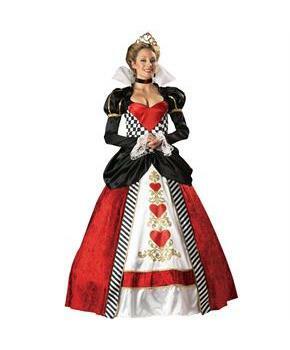 If you believe in Disney classics magic then you will love to dress up like Queen of hearts. Do you desire to become a party queen and most clicked person? Then we got something special for you. Do you aspire to be the show stopper of your costume party? 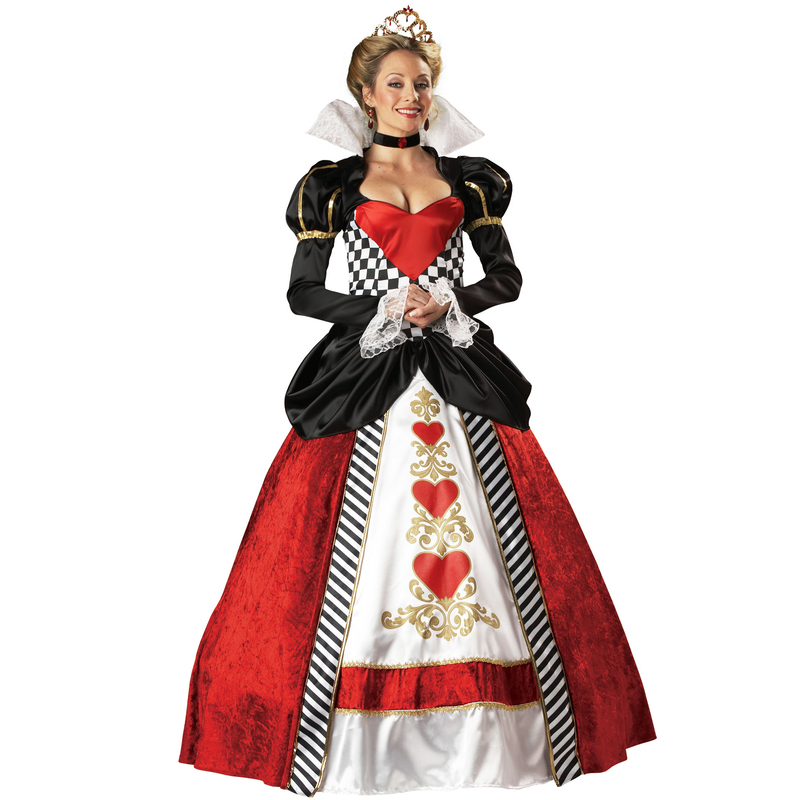 Looking for great fun and want to enjoy memorable time then go for Queen of Hearts Elite Collection Adult costume.